We are excited to announce our new distribution partnership with VExpress Distribution – an Australian-owned distributor of dynamic telecommunication, data and mobility solutions. “At VExpress we ensure our partners have access to innovative, best-in-class solutions at competitive prices. We are delighted to have the opportunity to distribute Premier Contact Point, a class-leading cloud customer contact solution. It works with any PBX and comes with a suite of value-added services and local support,” said VExpress General Manager David McEwen. “We selected Premier Contact Point because customers get exactly what they want with elegant, graphical tools that enable them to self-configure the platform without ICT skills. It is simple to use, with a great-looking interface and provides deep insight with the Gartner Magic Quadrant-leading BI solution, analytics, and personalised dashboards,” said McEwan. In addition to its ease of use and class-leading analytics, Premier Contact Point enriches the experience of customers who call from their smartphone, with features including: visual IVR, mobile queueing and post-call summary features. The solution seamlessly integrates with a number of cloud CRM/ERP solutions such as Salesforce, Dynamics 365 and ServiceNow. It has also been integrated with Microsoft Skype for Business. We’re in the Age of the Customer, where the customer calls the shots. Customer experience has become a key determinant of future loyalty. It’s more important than ever before for businesses to lift their game and deliver what customers want, because these days it’s easy for them to simply take their business elsewhere. At Premier we’re fanatical about helping businesses and organisations improve the customer experience that they deliver. 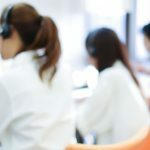 “This strategic relationship enables VExpress resellers to help their Business and Government customers grow revenue and improve Customer Experience cost-effectively, by giving them access to the same cloud contact centre tools as the larger players. Premier Contact Point works with any PBX system, and significantly improves Customer Experience delivered by phone, email, SMS and web chat,” said Sol Rabinowicz, our CEO. Our cloud-based solution Premier Contact Point is used by a variety of business, not-for-profit and government sectors, and in every case, our clients have realised significant improvements in efficiency and service quality they provide to their customers. 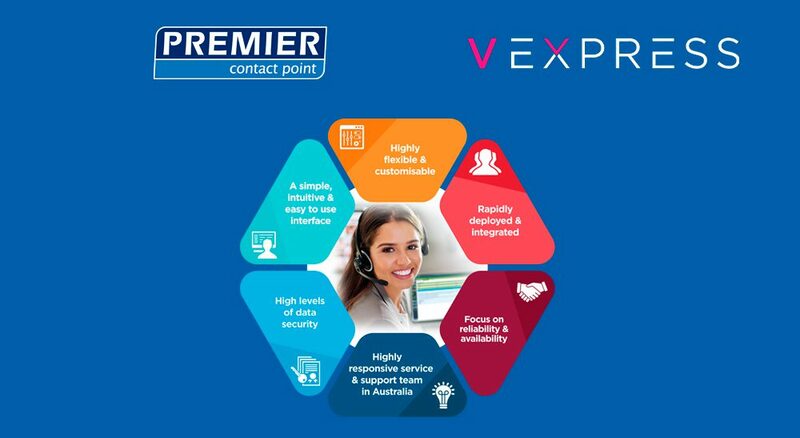 By partnering with VExpress, we’ll together provide many more Australian organisations with access to the tools, training and support needed to meet customer expectations, improve loyalty and significantly increase efficiency – in a cost-effective way. And what we’re most excited for out of this partnership, is the fact that it will be the Australian consumer who benefits from better customer service, from more organisations Australia-wide. 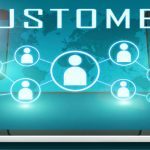 In the Age of the Customer, outstanding customer service needs to be the norm, not the exception. If you’d like to find out more and be a part of this exciting revolution, contact us today.